Gigabyte have unveiled details clarifying they are hoping to launch another tablet before the end of the year. One which will be designed to dual boot both Android and Windows 7 Home Premium. The new dual booting tablet is expected to arrive sometime around October and allowing users to choose which OS they would like it to run on start-up. Gigabyte says it hasn’t finalised the design as yet and is still considering which version of Android to include with the device when its launched. It’s thought however that the new dual boot tablet will also be powered by an Intel Atom processor but will not be equipped with USB ports, like the S1080. Unfortunately no information on pricing or worldwide availability has been released as yet, but Gigabyte have suggested that the tablet when launched will be marketed in the sub $400 price bracket. 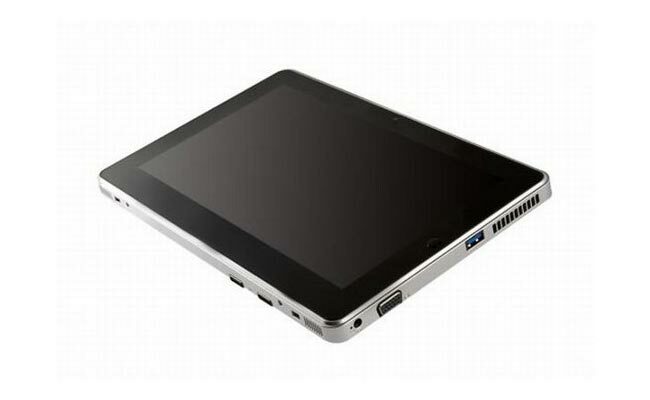 Image shown is Gigabyte S1080 and is for reference only, as no images of the new Gigabyte dual booting tablet are yet available. Take a look and our article on Android vs iPhone to see which smartphone and mobile platform is best for you.